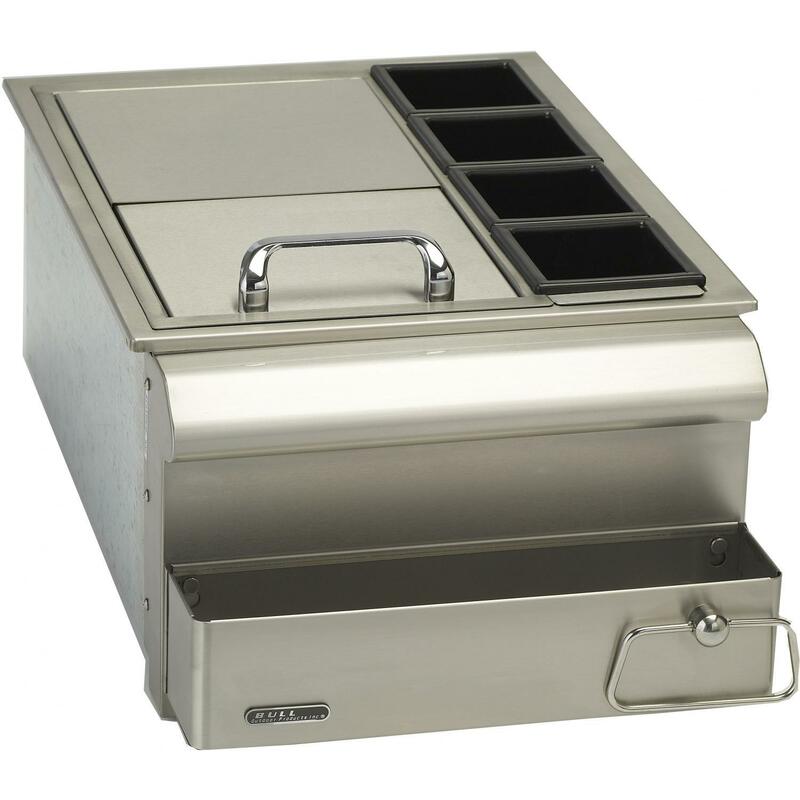 Product Description: Bull 30-Inch Stainless Steel Slide-In Bar Center W/ Ice Chest & Sink - 97623. Come prepared with all the ingredients for the perfect outdoor BBQ. This bar center integrates with your Bull outdoor BBQ island to add the finishing touch to your outdoor kitchen grilling area. 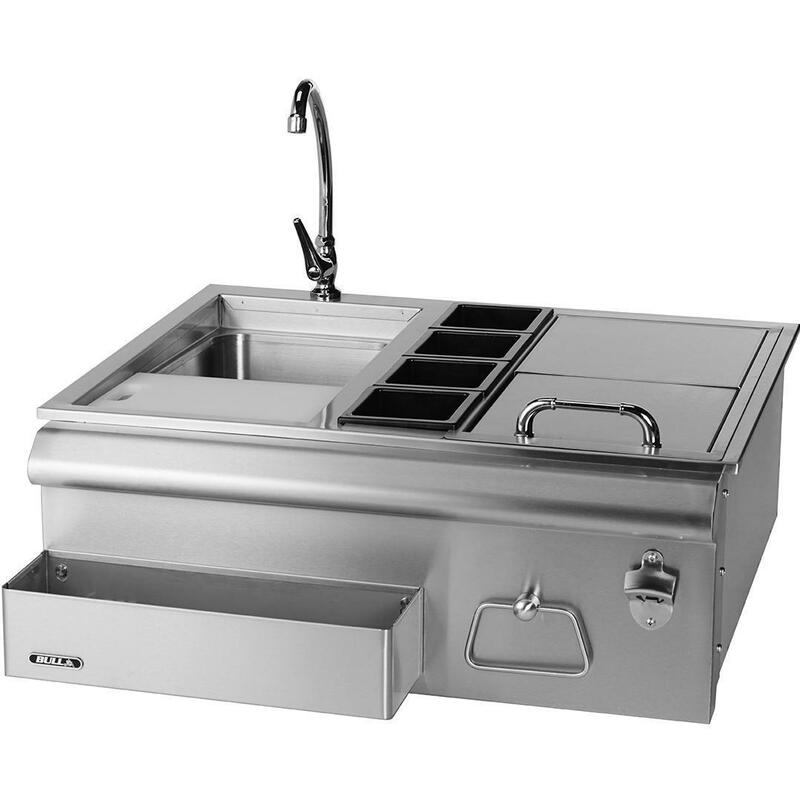 Constructed of stainless steel, this bar center features a handy sink with cold water faucet, storage doors, and condiment areas that simplify your grilling experience.